The Omaha Fuller Group offers professional home staging guaranteed to make your home stand out from its competitors. Property appearance and condition play a big role in the home sale process and taking the time to prepare your home for sale can greatly affect how fast it sells and your profitability. You only have one chance to make a great impression with each buyer! Let us do that for you! 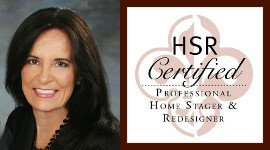 Professional home staging DOES make a difference! Check out our gallery of staged homes and see for yourself! Jan Fuller Design will identify where to invest to get the most return on your investment and create buyer ready properties. She will work to help you achieve the results you desire; the successful and profitable sale of your property. Her goal is to help you maximize the equity in your home while reducing the time it takes to sell in today’s real estate market.